James, Ruby and Riley are just three of the most popular unisex names given to babies in England and Wales. But which other names made the list? In this day and age, it won’t come as a surprise to many people that unisex baby names are becoming the next big thing. 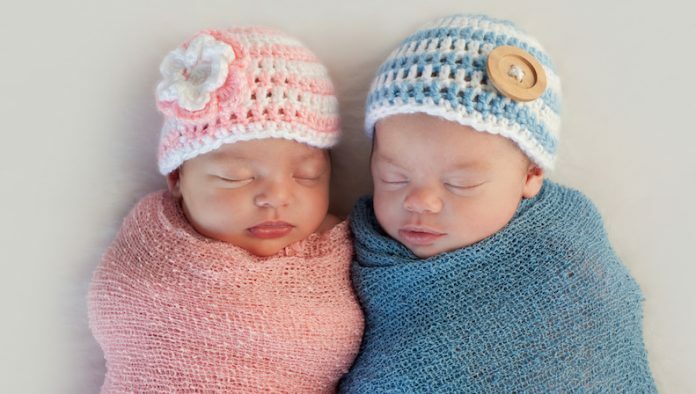 0.4% of the population in England and Wales currently identifies as gender-neutral, and many celebrity parents, including the Kardashians, Blake Lively and Ryan Reynolds, and Ashton Kutcher and Mila Kunis have opted for unisex names for their little ones. Even brands like John Lewis and River Island, who are synonymous with selling children’s clothes, accessories and toys, are producing more gender-neutral products to move with the times. But which unisex names are the most popular? 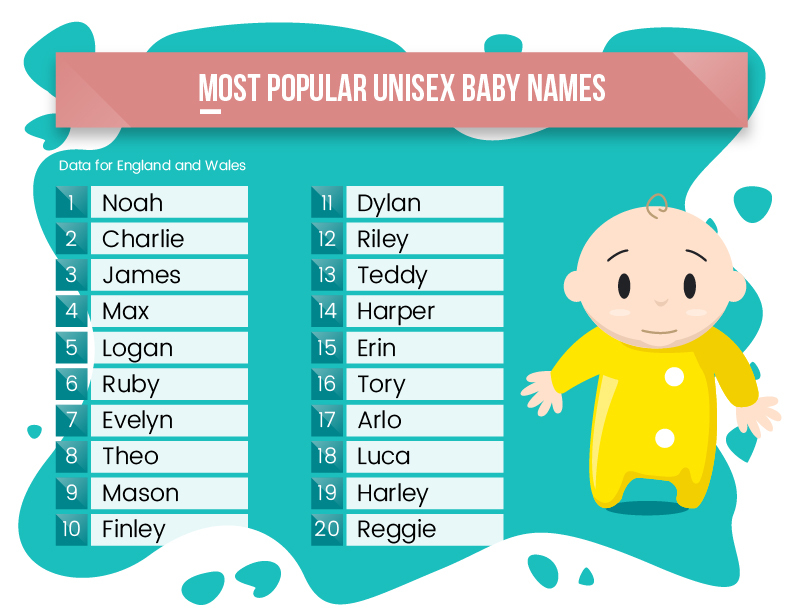 Online marketplace OnBuy.com took to the Office of National Statistics and baby-naming site nameberry.com, to find out which gender-neutral monikers were hitting the top spots. Noah, Charlie and James came out as the top three favourites, followed by Max, Logan, Ruby and Evelyn. Other, more unfamiliar names that made the list include Arlo, Mason and Harper. 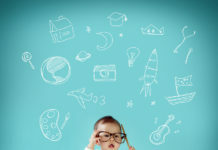 The online marketplace also conducted a survey with 1,466 parents to find out what might be causing this fast-growing trend. 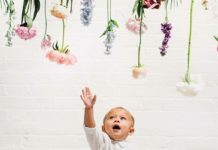 Their data revealed that 45% of Brits would be happy to choose a unisex name for their baby, with 32% saying that they believe a non-gender-neutral name would limit their child. It was also found that at least 74% of Brits have been told by strangers that their children should wear more gender-appropriate clothing. And while 78% of parents agree that they would let their child choose their own clothes, 45% said they do not buy their child gender-neutral clothes, with over a third stating that this was because “there is a reason for gender”.